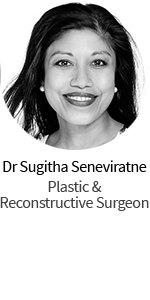 Dermaplaning is a non-surgical exfoliation procedure using a surgical scalpel to lightly “shave” the top layer of the skin, removing those fine facial hairs that become more obvious and plentiful as we age. Dermaplaning also removes the top layer of dead skin to reveal a shiny, new, smoother layer underneath. Often used in conjunction with other non-surgical treatments such as chemical peels or microdermabrasion, a dermaplane treatment will allow your skin to better absorb any skin product or procedure to maximise results. Dermaplane treatments can be done in your lunch hour and the actual treatment only lasts between 20 and 30 minutes. After cleaning your face, the practitioner will use the sterile dermaplane blade to exfoliate your skin, and will wipe away any of the hair and dead skin at the end of the treatment. Q. 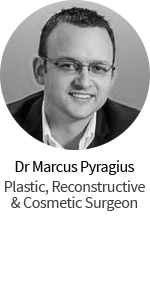 Is Dermaplaning suitable for everyone? A. Dermaplaning is safe for most skin types but should be avoided by those with active acne. It should also be avoided by those with excessive facial hair as it may trigger ingrown hairs and stubble as the hair grows back. It is safe for pregnant women unlike chemical peels. Dermaplaning is particularly good for those with dry or rough skin as it removes the top layer of dead skin cells to reveal the new skin underneath. Q. 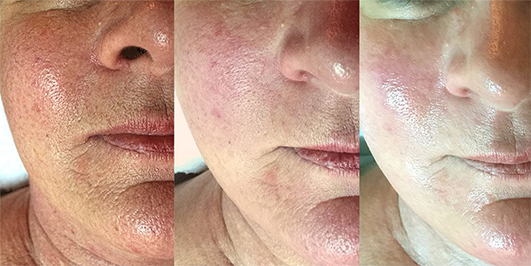 How long until you see Dermaplane Pro results? A. 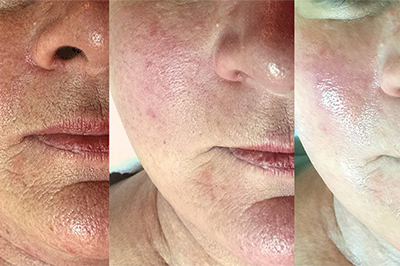 Results from a dermaplaning treatment can be seen immediately, however regular treatments will allow your skin to regenerate new skin cells and show long term results with brighter, healthier more vibrant skin. Q. Are there any risks to Dermaplaning? 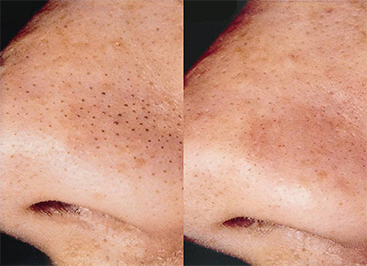 A. Dermaplaning is one of the safest non-surgical procedures available. Very rarely your skin may be nicked from the blade (this is an uncommon occurrence and as it is with men who shave their face every day does not have any long term consequences!). Some patients may have slight redness or dryness but this is temporary. A dermaplane treatment is considered to have no downtime.